Patent Attorney / Patent Agent – Law Firm – Sunnyvale, Calif.
Downey Brand’s Intellectual Property practice seeks to expand with the addition of a Patent Agent or Patent Attorney to be based in the firm’s Silicon Valley office. Primary responsibilities include preparing and prosecuting intellectual property (IP) patent applications for cutting edge technology companies. Other responsibilities may include IP training, third-party IP investigations, and due diligence. Candidates should have a minimum of 5 years of law firm experience as a Patent Attorney or Patent Agent, and must be registered to practice before the U.S. Patent & Trademark Office (USPTO). An undergraduate and/or graduate degree in electrical engineering and/or computer science and/or mechanical engineering is preferred. Attorney candidates must also be current, active members of the California State Bar. Preference will be given to candidates who have prepared and prosecuted at least 40 original patent applications, including a substantial number in the areas of mechanical or electrical or software-based technologies. Salaries are based on years of experience, and bonus consideration is based on productivity and performance. A distinguished academic record and exceptional research, writing, organizational and verbal communication skills are essential. 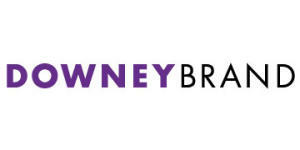 Downey Brand LLP is an Equal Opportunity/Affirmative Action employer. No telephone calls or e-mail applications, please. Principals only. Please submit cover letter, resume with references, graduate and/or J.D. degree transcripts, and a brief, recent writing sample (the writing sample may be any prosecution applicant has undertaken at the PTO; a patent number or published application number that applicant has actually worked on will suffice) electronically to Maureen Cooper, Recruiting Director, via the firm’s web application. To apply, please visit this website: https://lawcruit.micronapps.com/sup/lc_supp_app_frm.aspx?lawfirm=169&id=54.